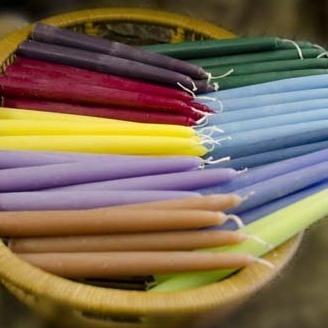 Rowanthorn sells locally made tapered candles. Slightly scented, in a wide range of colours. Only available at the shop in Oswestry.